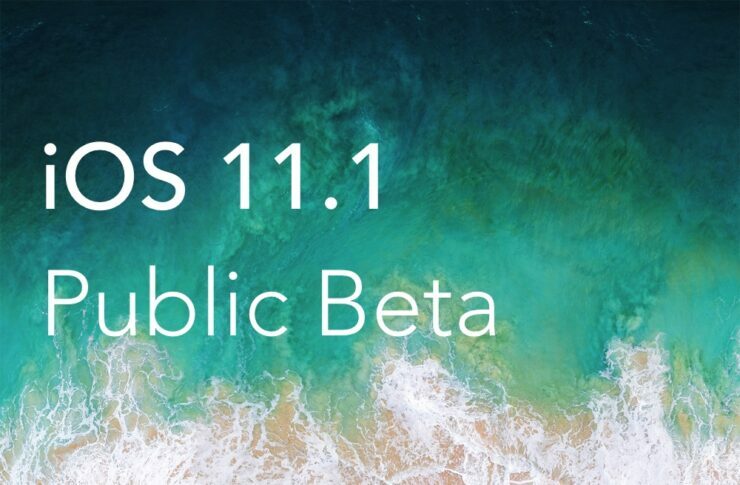 Right on cue, you can now download iOS 11.1 Public Beta 1 on your iPhone, iPad or iPod. Here are all the details. iOS 11.1 Public Beta 1 is Now Available for Download. Features Same Changes as Developer-Oriented Beta Released Yesterday. Just a day after Apple seeded iOS 11.1 Beta to registered developers, the company is stepping things up today with the release of iOS 11.1 Public Beta. This is essentially the same beta build as yesterday’s, except that it’s meant for testing on a larger scale, that too for free. That’s right, unlike the developer beta, this one is absolutely free to download and try out. In order to get started, first of all make sure that you have a compatible device. If you can run iOS 11 on your device then you’re well into the territory of testing out this beta. With that out of the way, simply head over to beta.apple.com, sign in with your Apple ID, enroll your device, download the beta profile, and the iOS 11.1 Public Beta update will be pushed to you over the air. And since the update is happening over the air, this means that you won’t lose your files or settings in the process at all, which is a good thing. But still, it would be wise to create a backup of your device just to be on the safe side fo the fence. You can find the iOS 11.1 beta update sitting in Settings > General > Software Update for your approval. It’s likely that we are going to be seeing several of these betas in the time to come so make sure you are ready to update as soon as the new build drops. Also, make sure that you install this beta on a spare device. It would be somewhat unwise to use beta software as a daily driver.